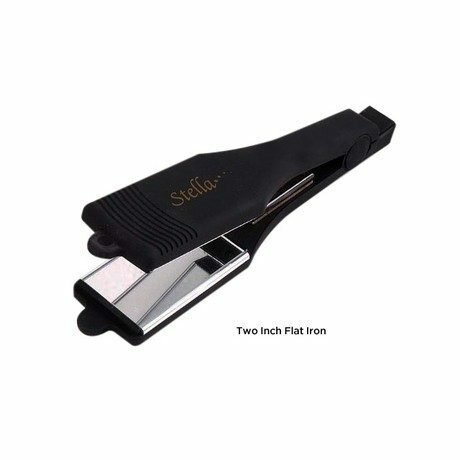 Stella Pro 2" Crystal Flat Iron Just $17.99 Down From $59.99 At GearXS! Ships FREE! You are here: Home / Great Deals / Stella Pro 2″ Crystal Flat Iron Just $17.99 Down From $59.99 At GearXS! Ships FREE! Stella Pro 2″ Crystal Flat Iron Just $17.99 Down From $59.99 At GearXS! Ships FREE! GearXS has this Stella Pro 2″ Crystal Flat Iron on sale for $17.99 (Reg. $59.99) + FREE shipping! Stella gives you the expert style youve been searching for with the sleek design and smart features of their amazing Pro Crystal Flat Irons. Professional technical tools, Stellas irons feature polished crystal plates and precision temperature control for safe, even heat, while the special design leaves a light layer of protection that coats the hair to not only provides a perfect style, but leaves hair soft, shiny and healthy.